We carry wool crepe in 4 luxurious weights. 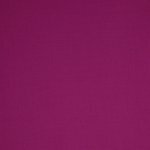 These beautiful colors come in type 2 (10 oz/sq.yd. ), and type 3 (double crepe) (14 oz/sq.yd). 54" wide, imported from Italy. Please note that the color samples are for type 2. The type 3 version tends to be a little darker. Type 3. This fabric is one of the most versatile, beloved by dressmakers for dresses, tops, skirts, structured and unstructured jackets, and semi fitted pants. This fabric has a small amount of natural stretch, but is considered a stable woven fabric. Lining is recommended. This fabric is rarely found in the US. Our price is $ 129.00/yd. Please note: Colors shown are available by special order. Please note that the color samples are for type 2. The type 3 colors tend to be a little darker. They make great coordinates!